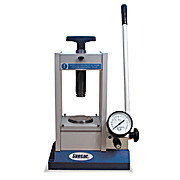 …bench top easy-to-operate press allows creation of the highest quality KBr pellets. It is used with the Evacuable KBr die to prepare high quality 13 mm pellets. 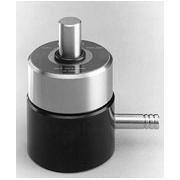 Requires, but does not include the Evacuable KBr Die (51001144), the KBr Pellet Holder (04810949), and the Adjustable Adapter (L1060351). 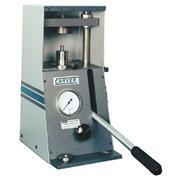 Contains an evacuable potassium bromide die for the preparation of 13mm diameter pellets of the highest quality and clarity, a pellet holder and adjustable mount for precise mounting of samples in your Spectrum RX, the easy-to-operate 15-tonne hydraulic press and 100g of research-grade KBr powder.